What colors do I absolutely need to draw / paint wildlife? This is the most common question I hear from those who want to work in color. Be it pencils or paint, what are the most essential colors does a wildlife artist need at a very basic level. When you’re just starting out you are usually on a tight budget. 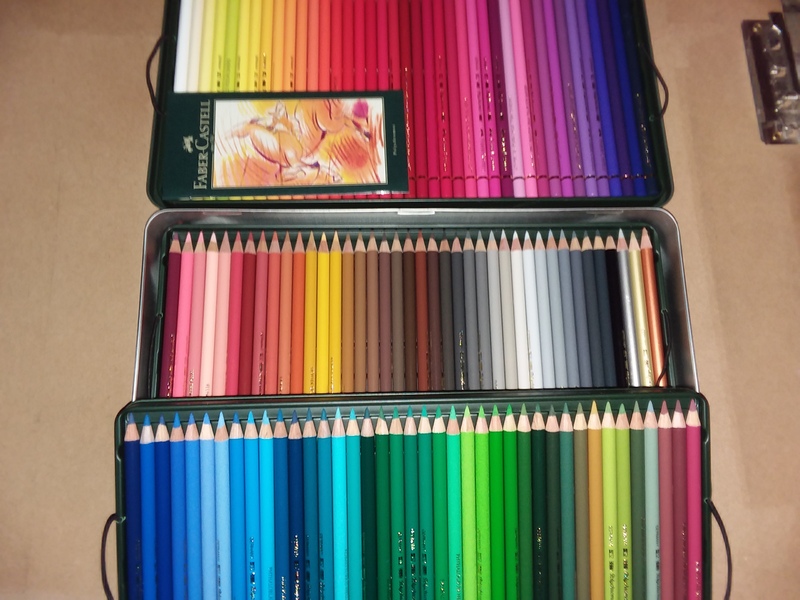 Let’s face it, colored pencils can be pricey! It’s disheartening to hear people say you need all the colors. You’ll also hear at the very least the largest set of colors you can afford. However, what if you’re not certain you’ll even enjoy working in colored pencil? You don’t want to invest a lot of money in a set of pencils you may not enjoy using. What then? 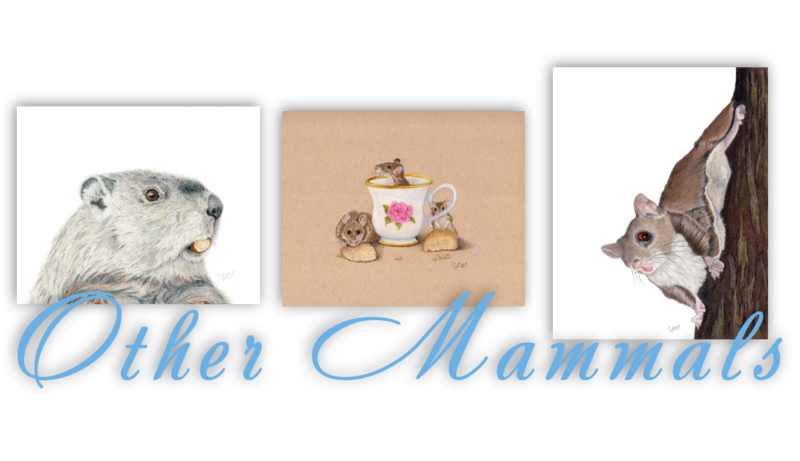 I decided to make this page to help out beginning colored pencil artists which color choices for wildlife. I will break down several types of animals and what colors you should absolutely have in order to render them. This is just a guide to give you an idea to get started, the basic colors I find myself reaching for every time. Black : I prefer Polychromos 199 black. White: Splurge here! You’ll want a really good opaque white so get a Caran d’Ache Luminance White 001. A good second choice is a Derwent Drawing Chinese White 7200. Grays: As many grays as you can get. I started with the Blick set of 12 grays which will give you a good selection of warm and cold grays. Browns: Like the grays, get as many different browns, tans etc as you can afford. While I normally prefer don’t use a lot of Prismacolor Premier’s I do love their French Grays which have a warm brown tone to them. 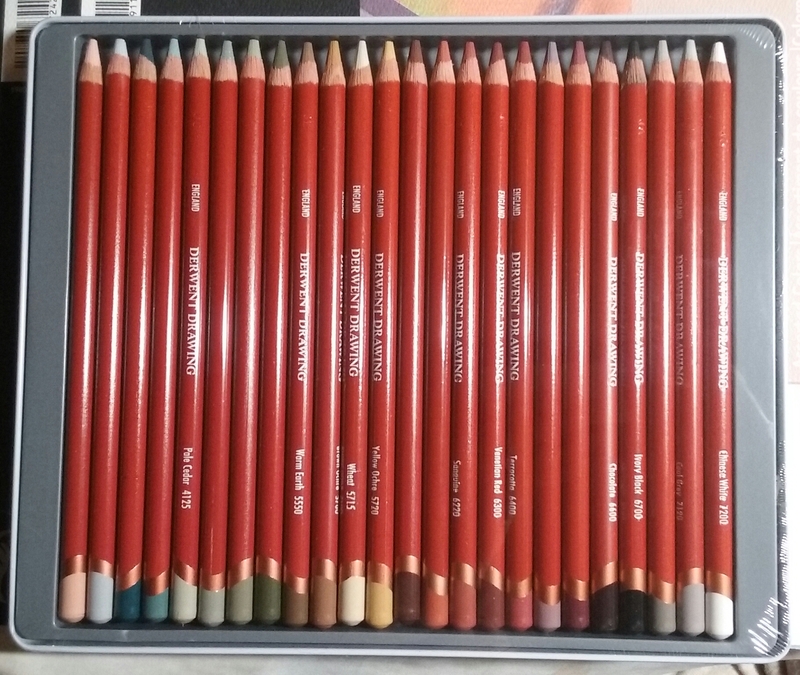 A perfect addition to a wildlife artist’s colored pencil collection! Smooth, creamy, muted colors. Not a “must have,” but a beautiful extra. Warm and cold grays are a must for your work on wildlife. They will come in quite handy! Especially the lighter shades as they can be used for base layers beneath the fur. 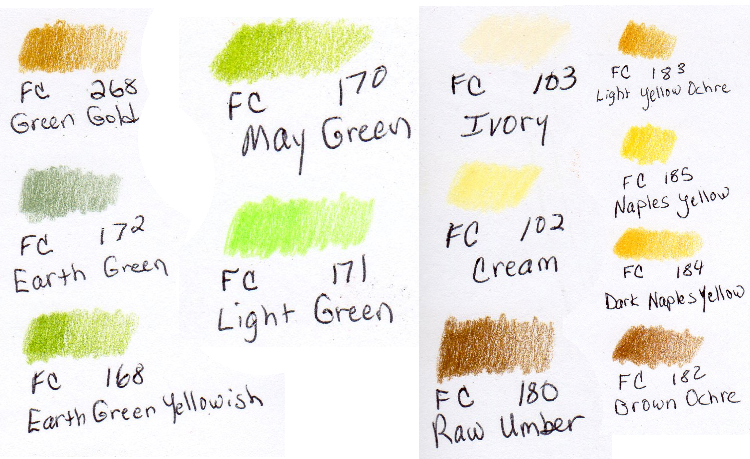 Here is a comparison of white pencils. I prefer the Caran d’Ache Luminance White. 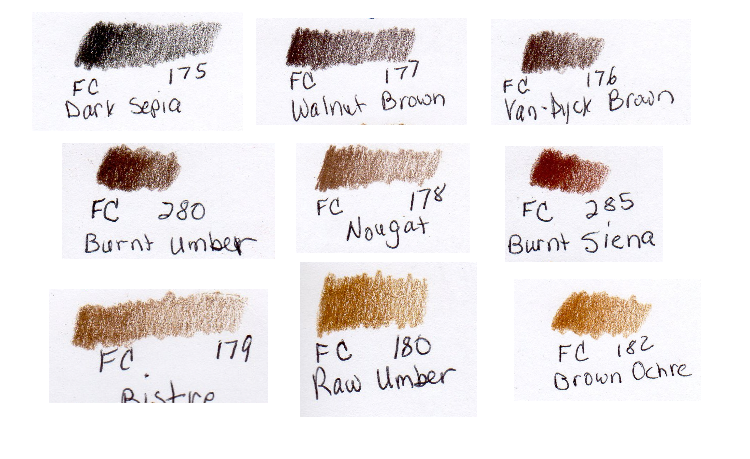 These samples are swatched on Koh-i-noor Black drawing paper. While the Red Fox falls into the category of Canidae, I list them seperately here due to the dramatic difference in coat colors. 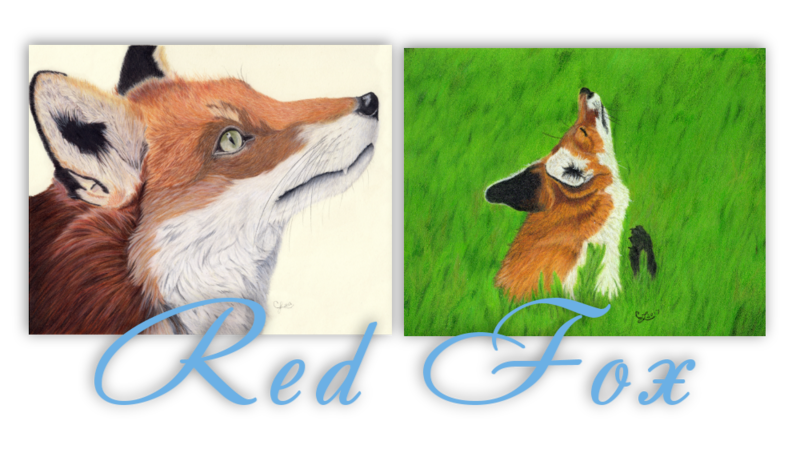 Red Fox coats can range from a yellow/orange to deep burnt sienna browns depending on the subject in your reference. Plus black, white, and grays. 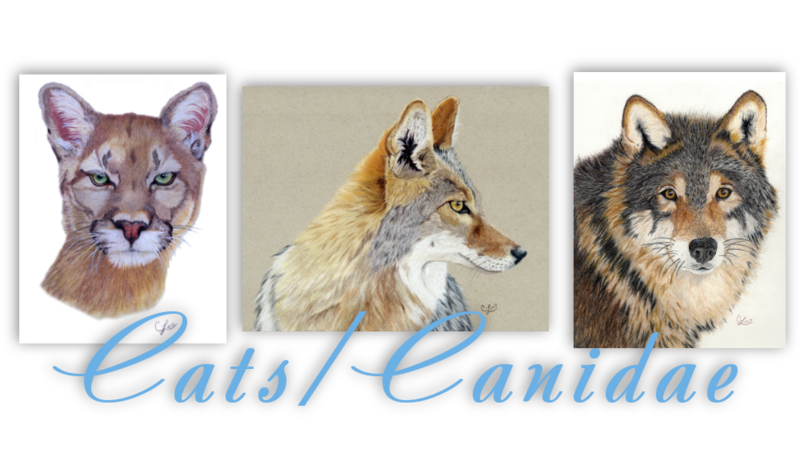 I’ve included North American Wild Cats in this along with the other Canidae (wolves, coyotes) because their fur colors have similar colors. Wolf coats consist of a lot of warm and cold grays, blacks, tans and also browns. If you’re working on night scenes you may need some blues for highlights in the fur. These browns along with the grays, black and tans can be helpful in the coats of wolves and coyotes. The greens may show up in the cat’s eyes. The golden colors in their fur. The golden colors also occur in the fur of coyotes and in the eyes of coyotes and wolves. 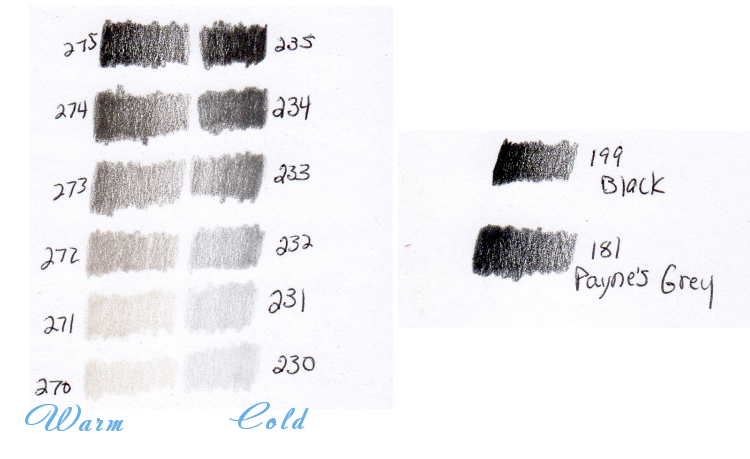 You’ll need both cold & warm grays & browns and pick up some French Grays if you can. Yellow Ochre, Naples Yellows and similar golden colors are also useful in the fur and eyes. It depends on the specific mamal you wish to draw. Basically browns, tans, grays, black, ochres will be used in North American mammals. Raptor / Owl feathers can vary in colors, but I would have these colors handy. Light and Dark Yellows and Ochre and Naples Yellows – for Beaks, feet, feathers and some eyes. Oranges – Especially for owls both feathers and eyes. 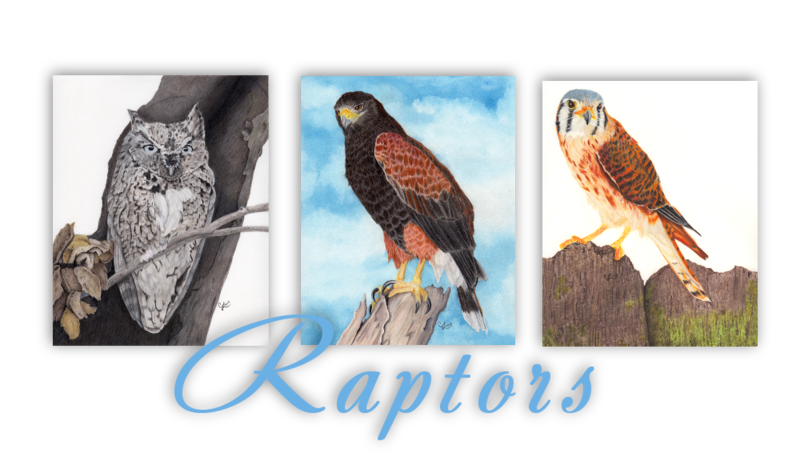 Various Blues – for highlights in feathers and some beaks. Here’s where color choice gets even trickier. It truly depends on the bird/insect what colors you will need. If you want to draw a specific species of bird/insect you can purchase the colors you see most commonly in that species. 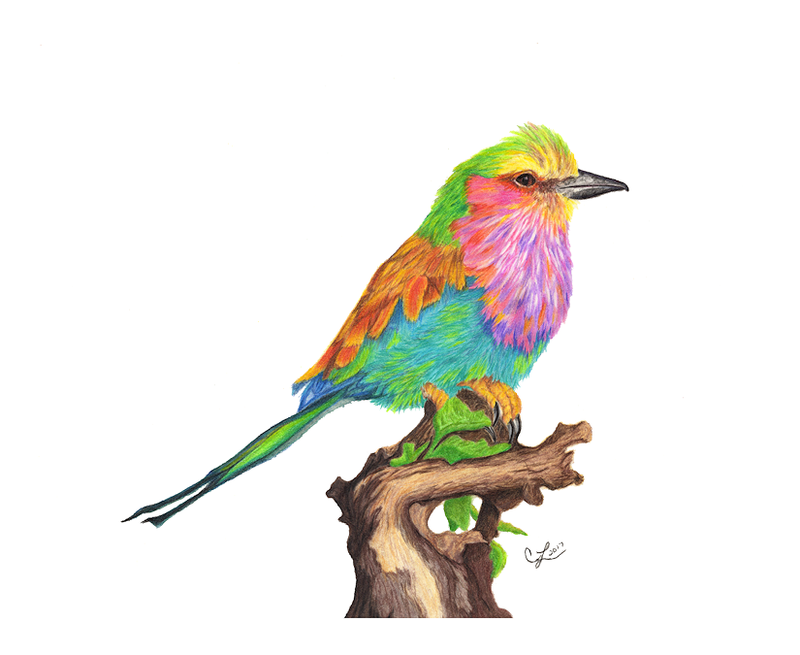 If you want to draw many different types of birds/insects, you’ll want to get the largest set of colors you can afford. On a budget a good way to get as many colors as you can when you’re starting out would be to buy a set of Blick Studio Artist Colored Pencils. 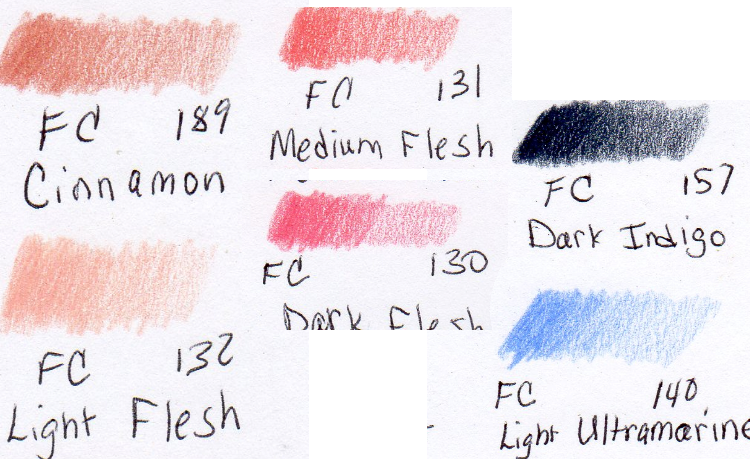 Many of the colors are lightfast and they will give you a good feel for artist quality pencils. 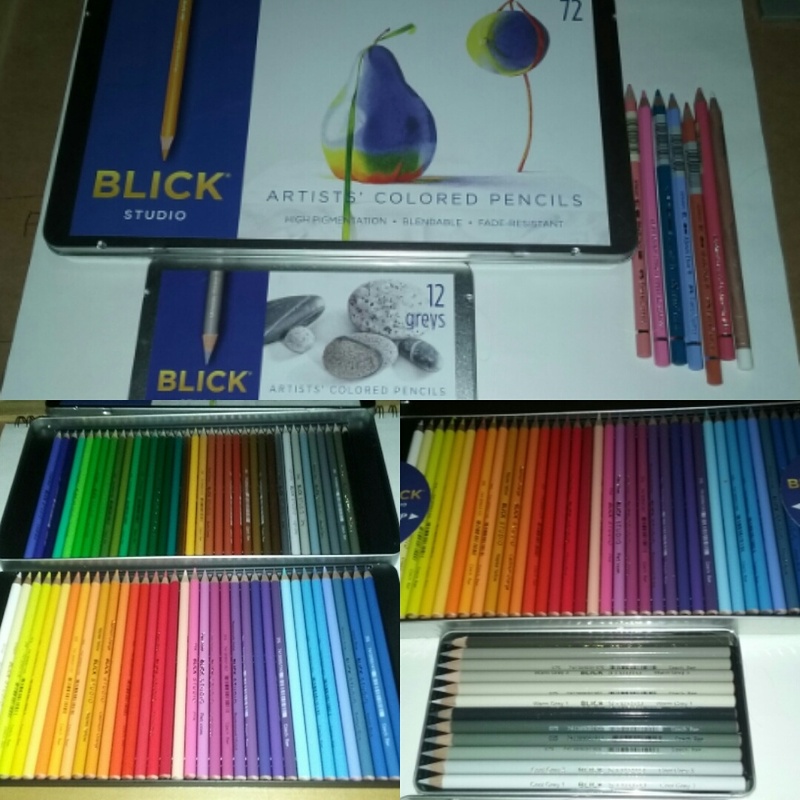 You can get lightfast information on the Blick Art website under the “Specs” tab for these colored pencils. Their colors are vibrant and blend beautifully with solvent. This is an example of needing more than the basic colors. This is a Lilac Breasted Roller, a beautiful African bird. 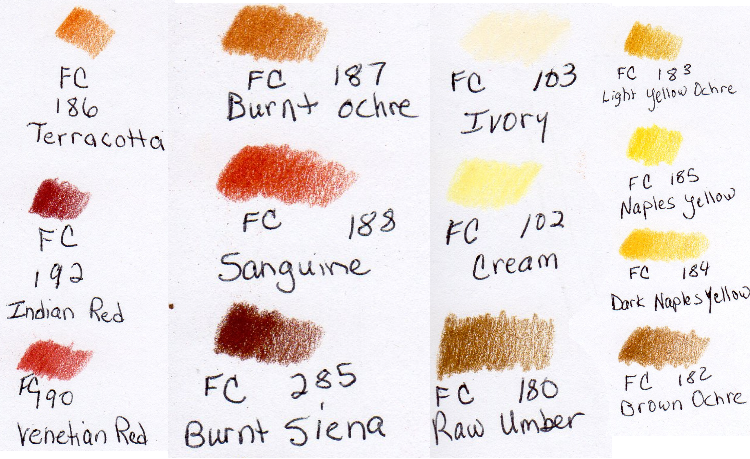 So there you have it, my “most used” colors for particular types of wildlife. Something else to consider when deciding what you may need, will you be drawing single subjects or do you want to include backgrounds? If you plan to add even a slight hint of ground or partial background you’ll need to encorporate the colors of that bird or animal’s enviornment. Beyond dirt or grass will there be flowers? If there are leaves will they be springtime buds of light greens, deep greens of summer or beautiful crimson, golden and brown autumn leaves? Try to think about what you plan to draw and list out the colors you think you will need. 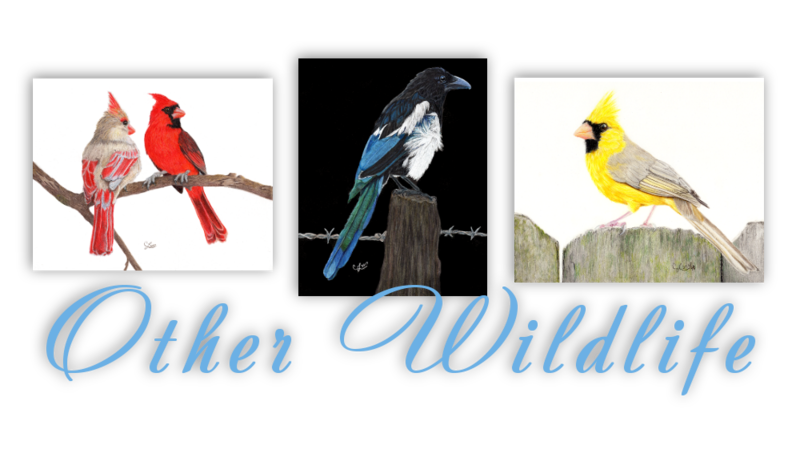 I sincerely hope this has given you a little help in deciding what you may or may not need for drawing wildlife.